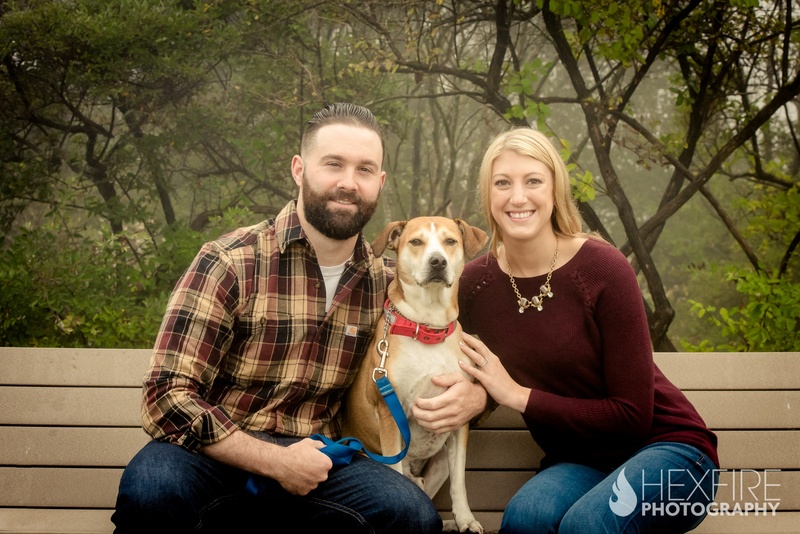 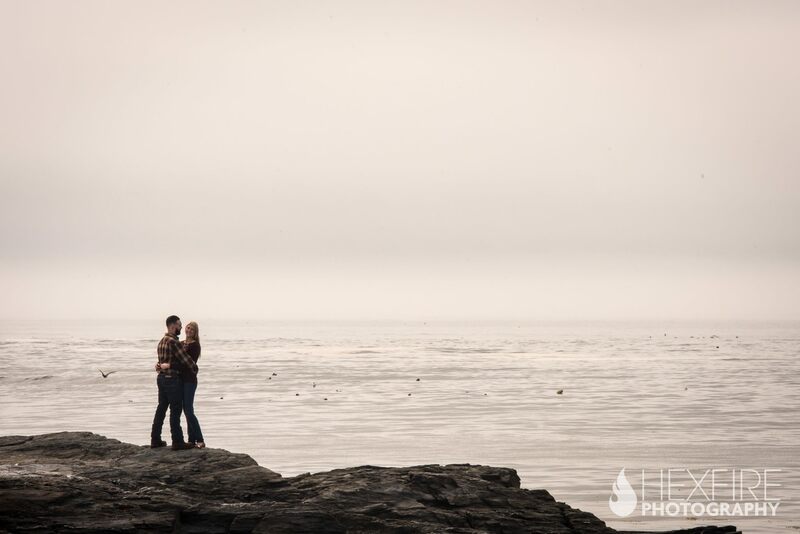 As summer makes the slow transition to fall we met Abbey, Matt, and their best friend Sawyer on the cliffs for their Kettle Cove engagement session. 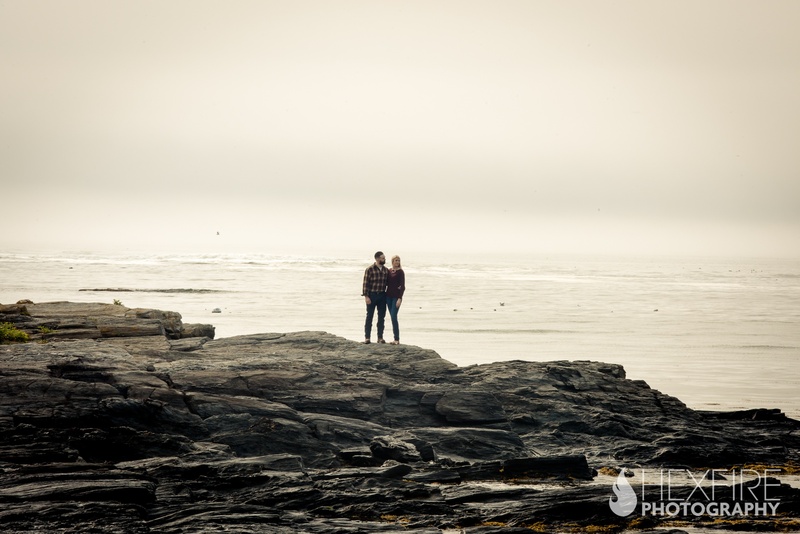 Mother nature was surely dragging her feet that morning and refused to let the crisp Maine air in. 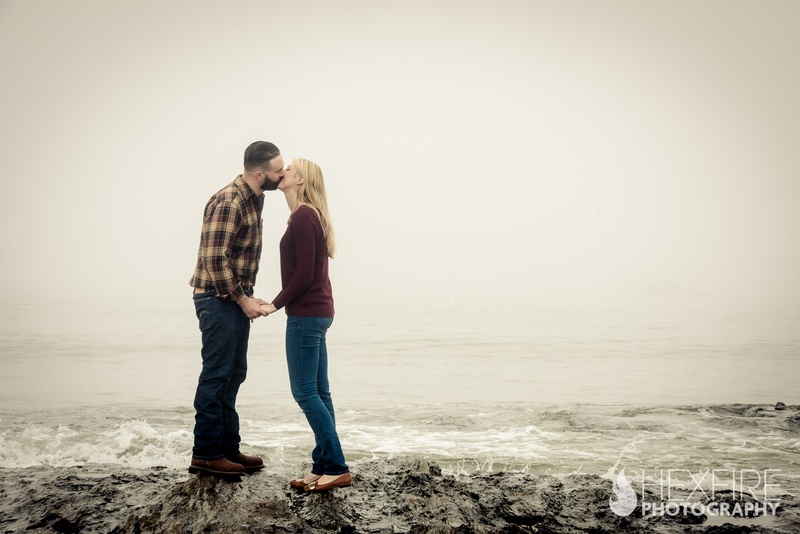 In its turn, we battled some pretty impressive sea fog. 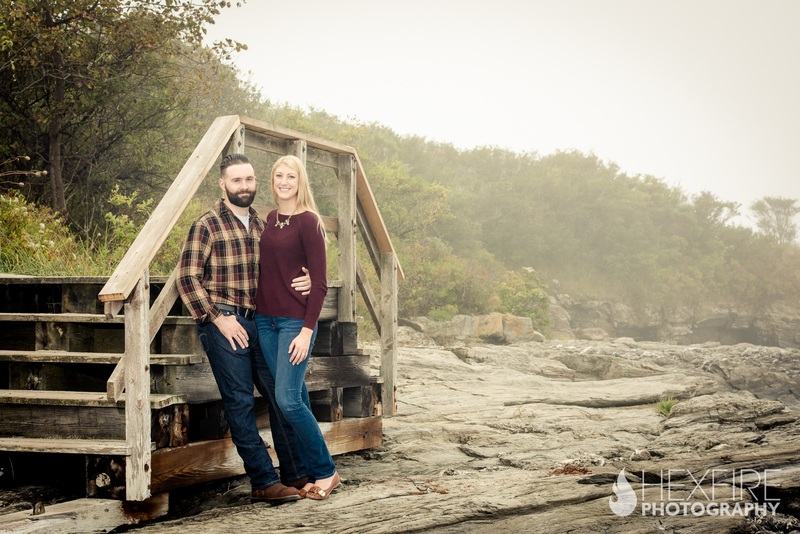 While it wasn’t the sunniest of mornings, the location was nonetheless picturesque as Abbey and Matt walked along the beach. 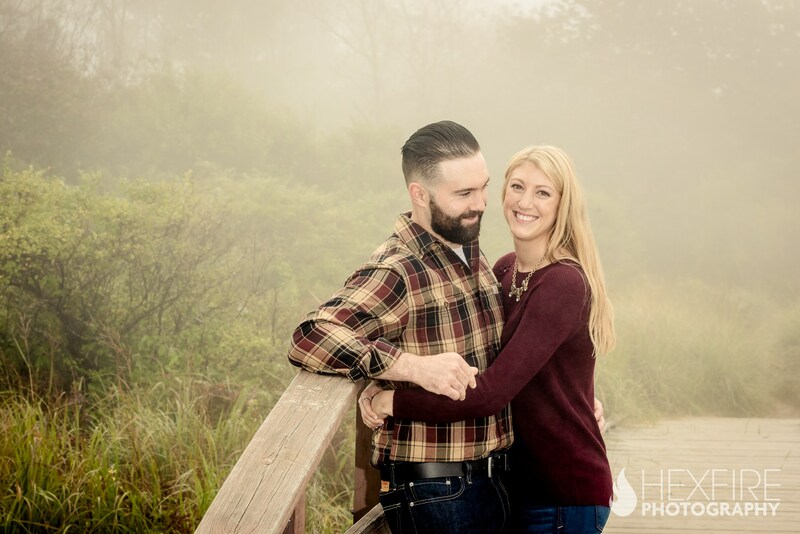 Abbey and Matt are the type of couple you feel like you have know forever. 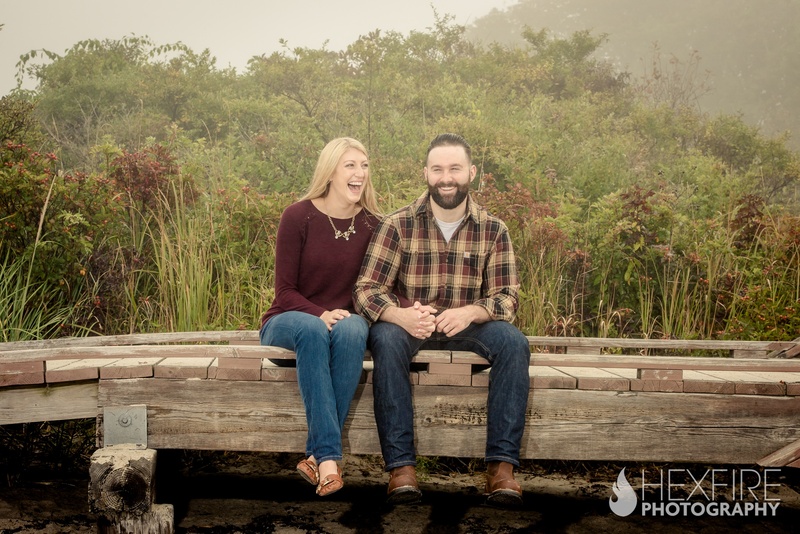 It is obvious they love to laugh, be competitive, and truly enjoy each others company. 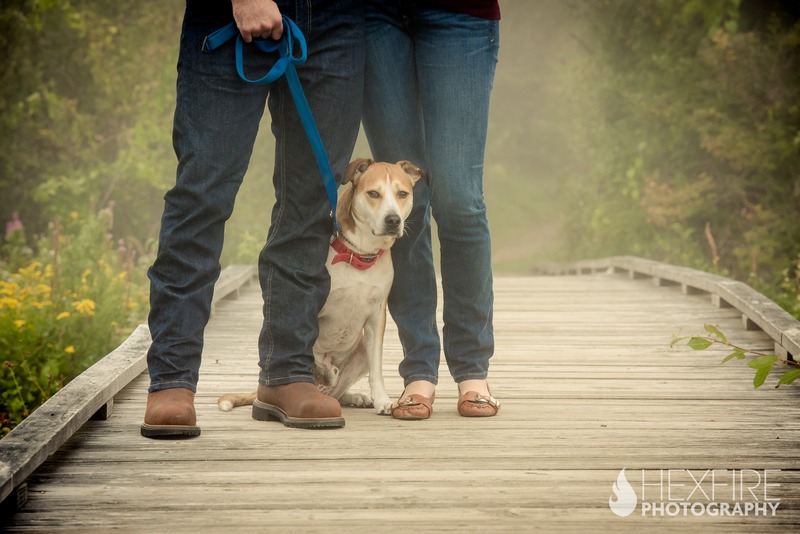 Add on top of that their love for Sawyer, its clear to see they are one happy family. 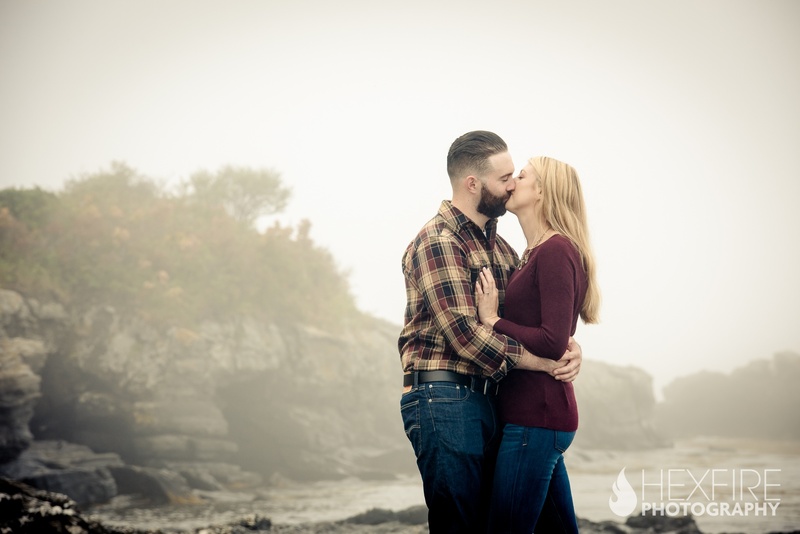 As we strolled along Kettle Cove we heard stories of their engagement only a mile or so away at Two Lights State Park. 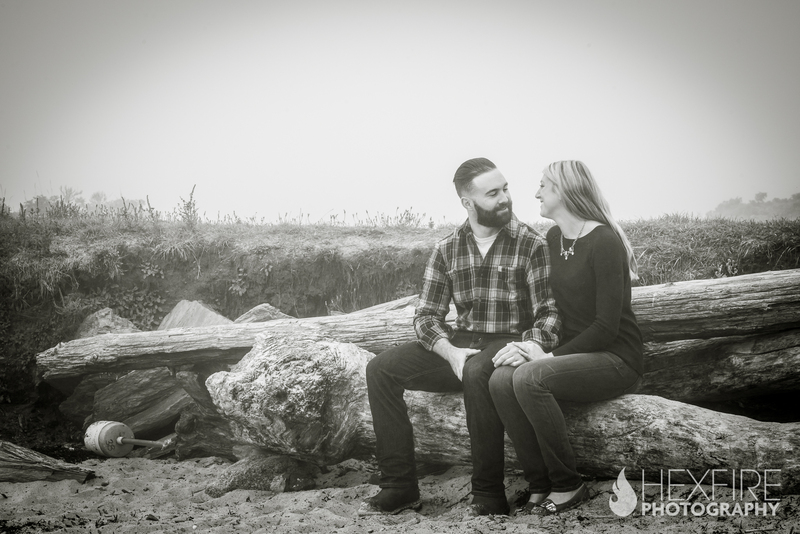 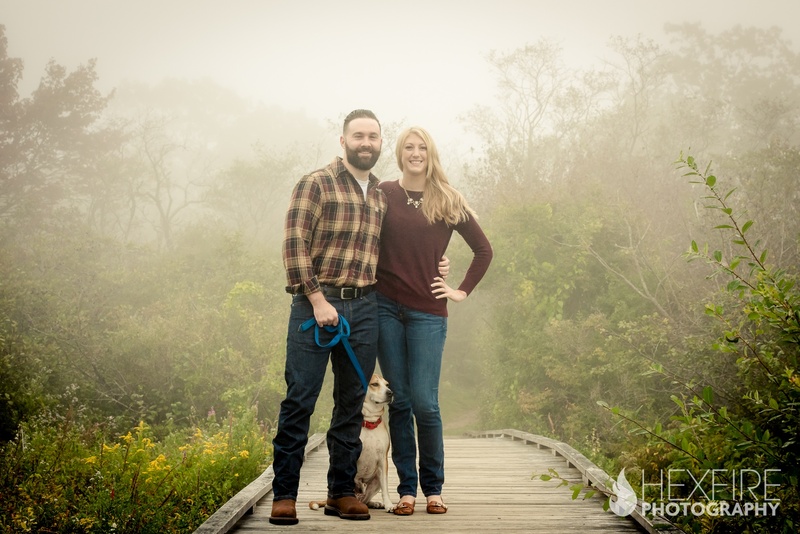 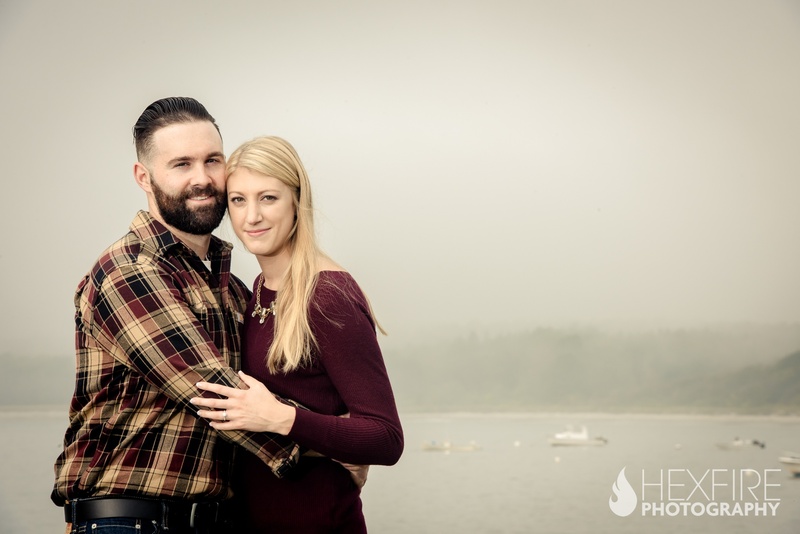 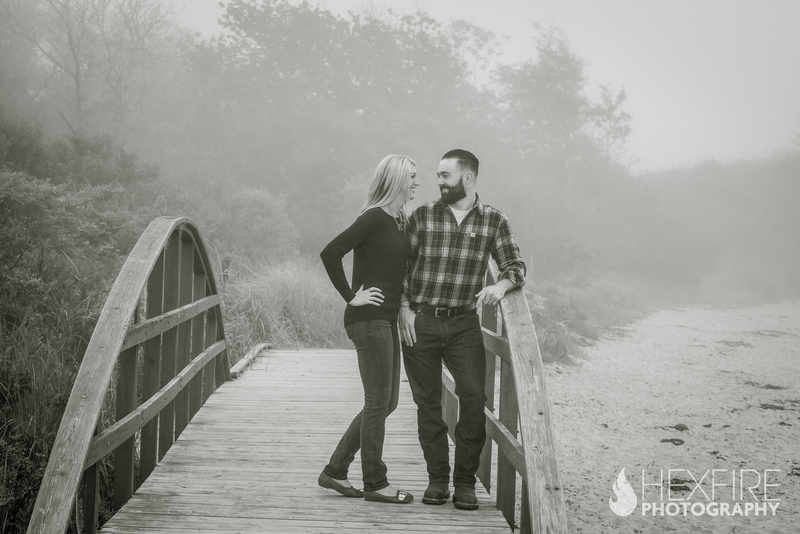 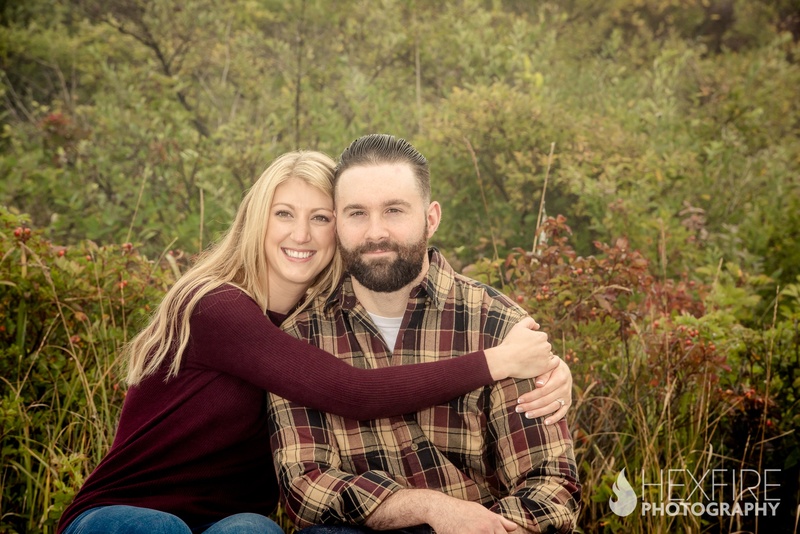 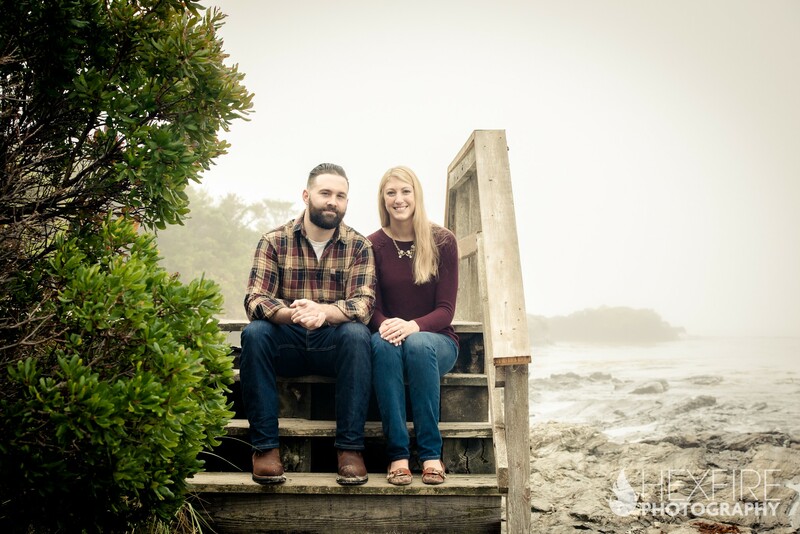 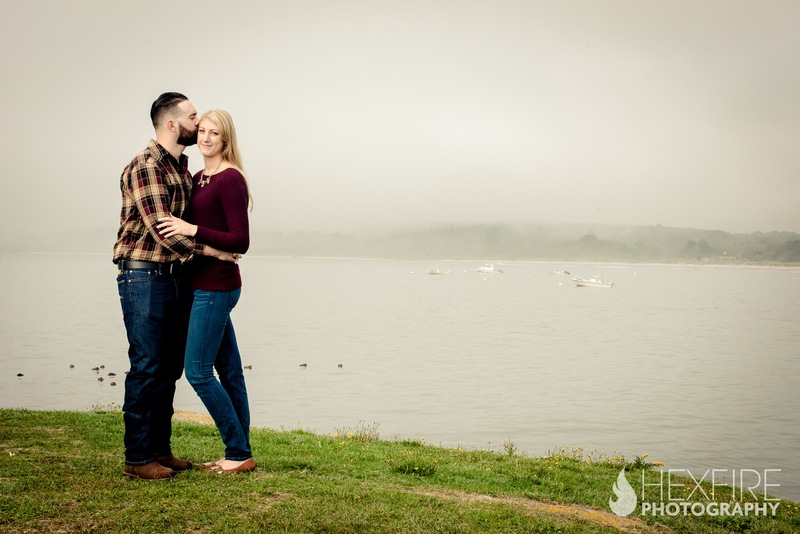 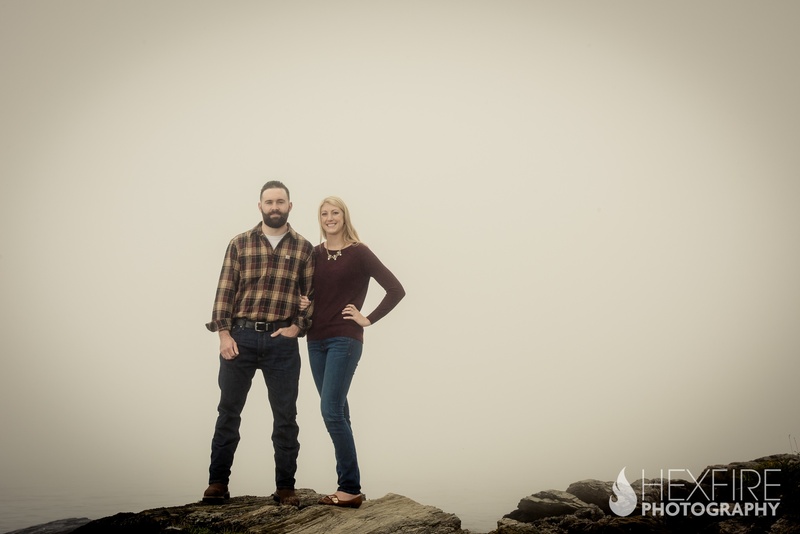 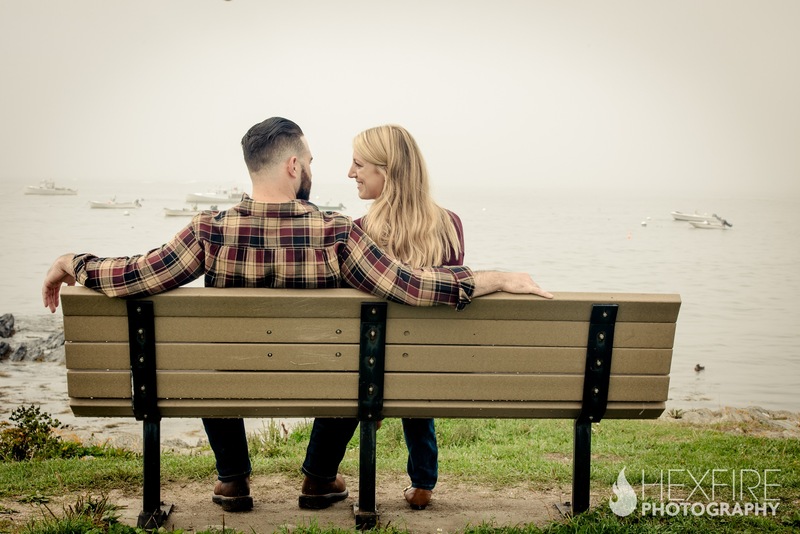 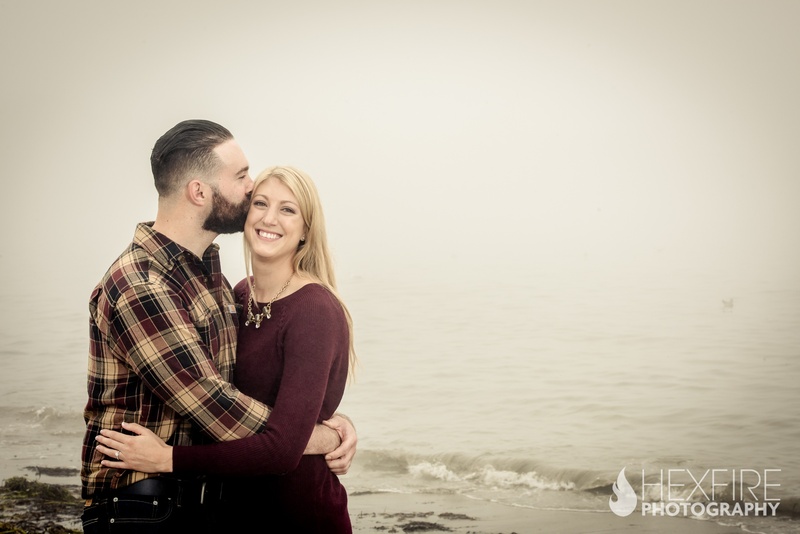 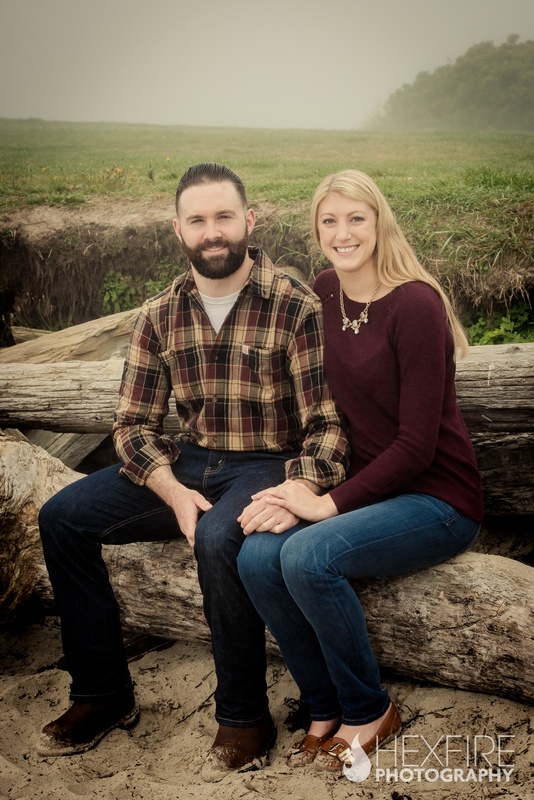 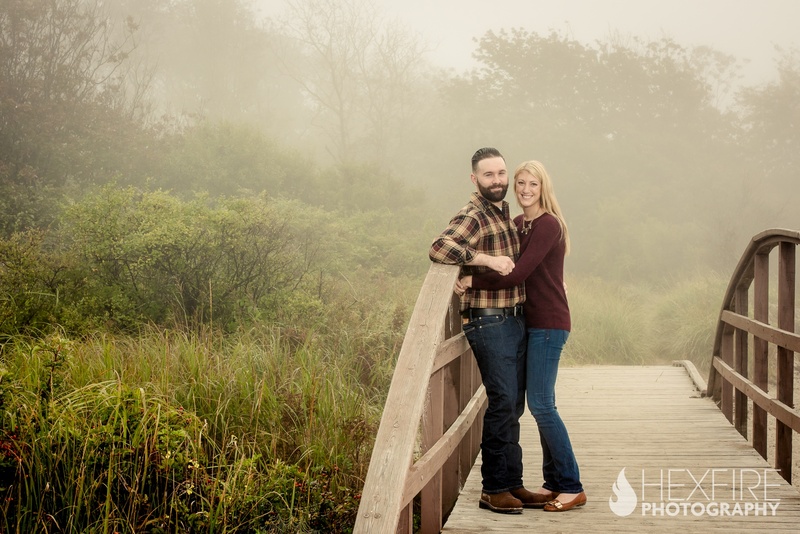 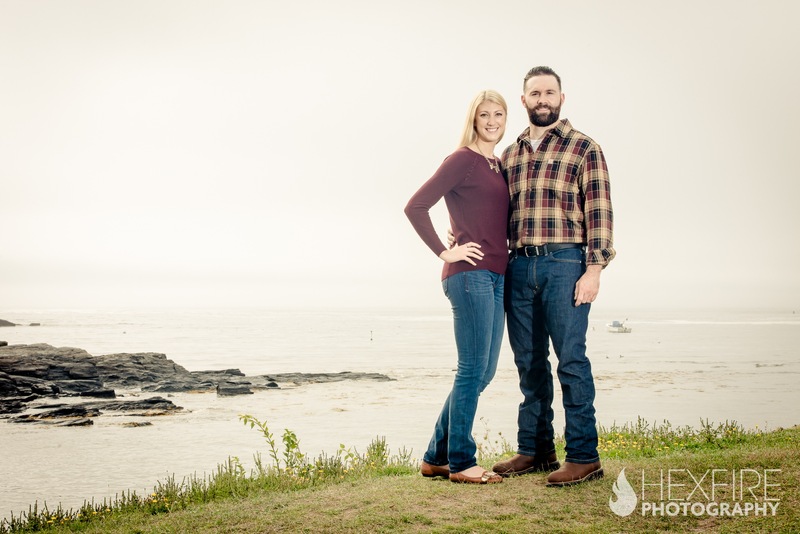 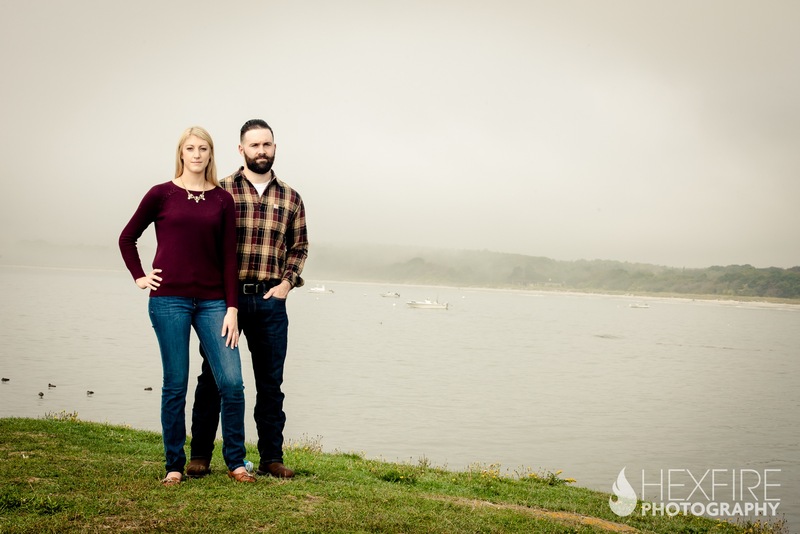 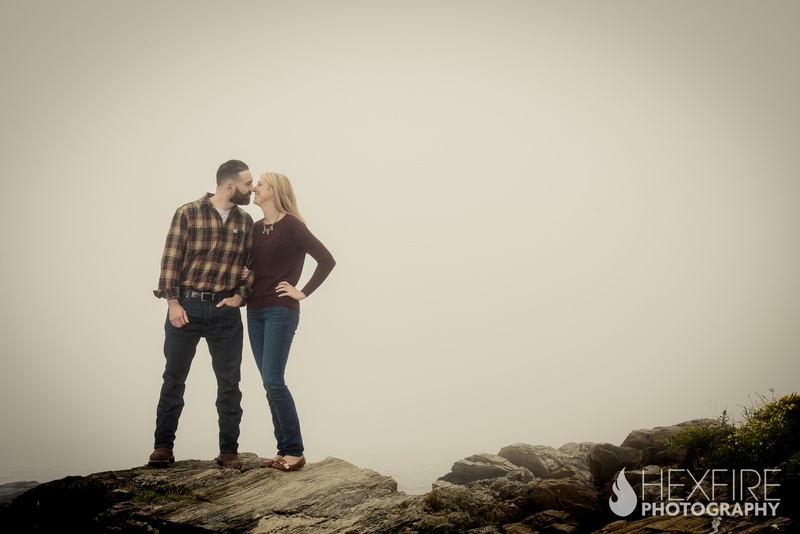 We can’t wait for next summer, where hopefully the fog doesn’t return for a encore, as we celebrate their wedding at the William Allen Farm in Pownal, ME. 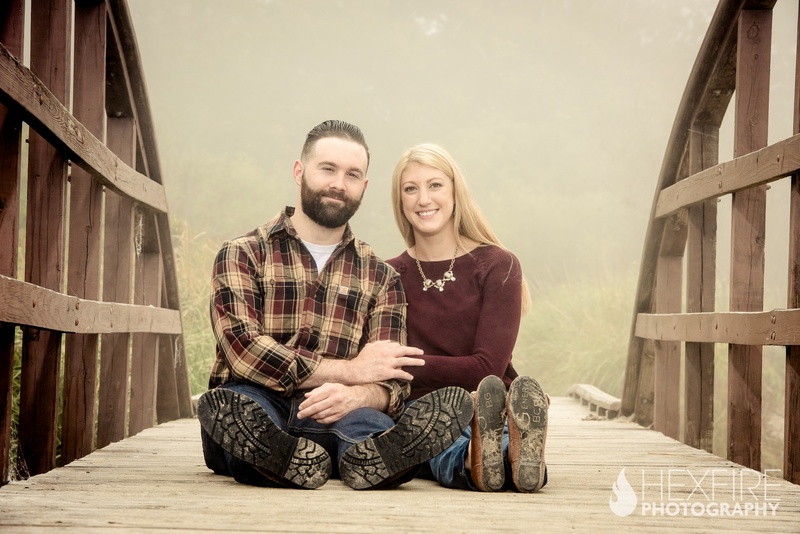 Congratulation Abbey and Matt!